Testing is an investigation done to make sure that the code we have written is reliable and meets the given requirements. 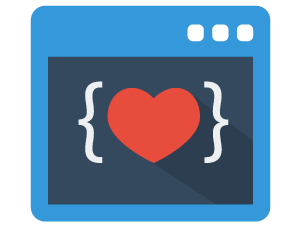 The most common way to test code is to write unit tests for different units of the code base. This makes it easy to isolate the bugs in the code base. All of the software development processes include testing as an integral part. The one we are going to talk about today is called Test Driven Development or TDD in short. Test-driven development is a process where tests are written before writing any code. And the code is written only to pass those tests. I know this sounds stupid, but believe me, this is a very effective software development practice. This practice ensures that we only write code that is absolutely required. So, our code is very minimalistic and meets all requirements. The general idea of TDD is, get requirements, write a test case assuming that there is code fulfilling it, write code to pass the test case. And this process is repeated until all the requirements are met. As you can see, this is a very iterative process. These 3 steps are better known as the 3 laws of test-driven development coined by Robert Cecil Martin (uncle bob). Uncle Bob is one of the living legends of programming. I recommend following his work if you are into good practices in programming. Enough of theory let’s take up an example and actually try it hands on. We will be using golang to implement this concept. Let’s build a simple function to list the multiples of 3 and 5 within a given range of numbers. This is a fairly simple problem to solve. Let’s look at the code step by step. Now, we will need two files in this package: tdd.go and tdd_test.go. tdd.go will contain the main code and tdd_test.go will contain the test cases. Lets look at the requirements for writing the function. 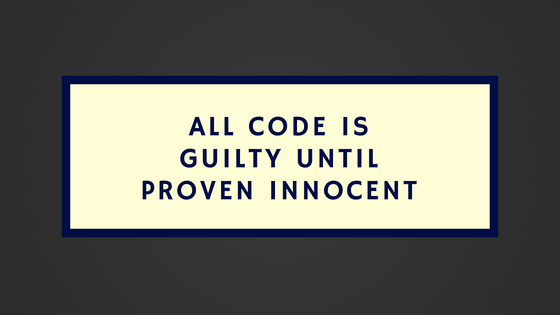 According to the laws of TDD, we have to write the test case first. 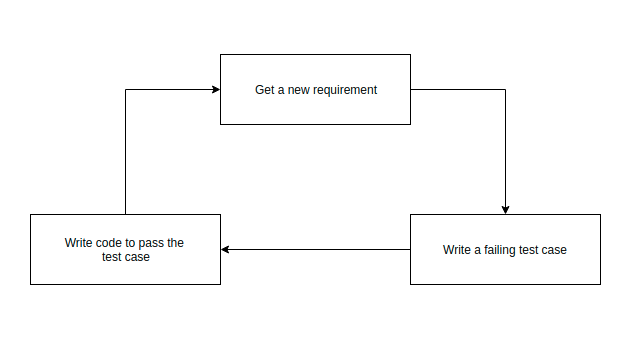 So let’s take the first requirement and write a test case for it. In tdd_test.go, make a function called TestMultiples(). And as usual, the arguement of this function should be the T object of the builtin paskage called testing. In this function we are going to write the test cases for the function Multiples() which will write later. Now, let’s write our test case for the first requirement (assuming Multiples() already exists. Using the assert.Equal() let’s see if calling Multiples(1, 5) will give us a slice containing 3 (which is the only multiple of 3 between 1 and 5). The code should look like this. Run the test by running go test in the terminal. This test will obviously fail. Now, we write some code to pass this test. Go to the tdd.go file and declare a function called Multiples(). Take (m, n int) and the arguments as expected by the test case. That defines the range of numbers. We need to look for multiples within this range. Now, the test case expects to get multiples of 3. Multiples of 3 means if the number is divided by 3, it should not give any reminder. So, let’s iterate through all the numbers between m and n, and return all the numbers that fit. If you run the test case now, you will see that it passes! (Think about it. Was it not oddly satisfying?). Since the test case passes, go back to write a new test case. The next requirement is to also include multiples of 5. So, in our new test case, let call Multiples(4, 11) and expect it to return [5, 6, 9, 10]. Write the test case and run the test to see that it fails. In Multiples() function, we just have to add another condition to also include multiples of 5. Update the if condition to do so. And run the test again. It should pass now. Now for the last test case. The requirement is to make sure we return an empty slice if no multiples are found. Write the test case to expect Multiples(1, 3) to return an empty slice and run the test. You will see that this test case passes without having to write any code. Congratulations! This process is long and pointless for a small problem like this. But when you write complicated code that affects millions of people, this process could save your life. Sure it’s a bit slow. But since you are writing good and clean code, you will never be slowed down by bad code. Also, the test coverage will be pretty high when you follow TDD. In fact, in our case, it is 100%. So, this was Test-driven development in a nutshell. Hope this post gave you a perspective on how TDD could be useful. This may not be the most efficient way when you have a deadline, but it is definitely the most foolproof way to write clean code. Wonderful Arjun.. Out standing article .. Simple and easy to understand.. very well written… Waiting for More. All the best!! Yes TDD is a beautiful way to program but in real word challenge will lie in getting all the edge cases of data identified along with positive test cases.